A federal court had temporarily shut down two companies which were providing bogus ‘tech support’ for computer throughout the country. It is been believed that these companies had managed to dupe an estimated $120 million. Both of the accused companies modus operandi were fuelled by the greed and lack of knowledge on the part of honest customers. These companies have sold consumers unneeded software by tricking them to believe that their computers are under imminent threat or suffering from grave security threats which needed quick and instant technical help. Jessica Rich, director of the FTC’s Bureau of Consumer Protection has stated that these companies operations were essentially based on the lack of technical knowledge by the honest consumers. They had resorted to malpractices like the use of deceptive sales pitches accompanied with high-pressure tactics to sell their useless software and services and wreak millions of dollars out of it. This isn’t the first time that the FTC has shut down the company resorting to scam based operations or business tactics. Earlier it had also shut down another fraudster company which ran an alleged scam wherein the callers pretended to be tech support for the giant tech-companies like Facebook (FB) and Microsoft (MSFT). Consumers are required to download an unpaid version of the software which is supposed to improve their computer’s performance. That software simply runs a system scan and identifies all sorts of problems, errors and threats. Later on users are asked to get their computer repaired and errors fixed by buying that particular software for $29-$49. Once they had bought it, they would be gently directed to a call a phone number which supposedly activate the software. Even after buying the consumers are pounded with more sales pitch to buy more number of computer repair services for better reason. These companies also used to take remote access of the computers and promised to solve the technical issues and remove the threats from the devices for a whopping charge of $500. A federal court in Florida has already taken the initial steps of temporarily shutting down these companies and their partners. Even appointed receivers and froze their assets until the case could be heard. Furthermore court has also ordered the respective authorities to disable their websites and phones numbers. 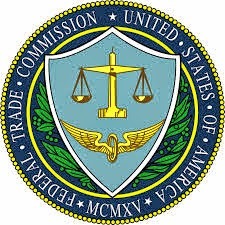 The FTC lawsuits have alleged these companies of violating the federal consumer protection laws along with telemarketing sales rules and the Florida Deceptive & Unfair Trade Practices Act. The defendants are California based PC Cleaner Inc, Netcom3 Global Inc., dba Netcom3 Software and Florida based telemarketing companies PC Vitalware LLC; Inbound Call Experts LLC, Super PC Support LLC and Advanced Tech Supportco. The defendants in another suit are Massachusetts-based Boost Software Inc and Florida based telemarketer OMG Total Protection, Vast Tech Support LLC, dbs OMG Tech Help, OMG Back Up, OMG Tech Help LLC, Success Capital LLC, downloadsoftware.com and softwaresupport.com.